You might be familiar with CrossBreed Holsters, but did you know that they offer several leather options for holsters and belts? Each type has different benefits. 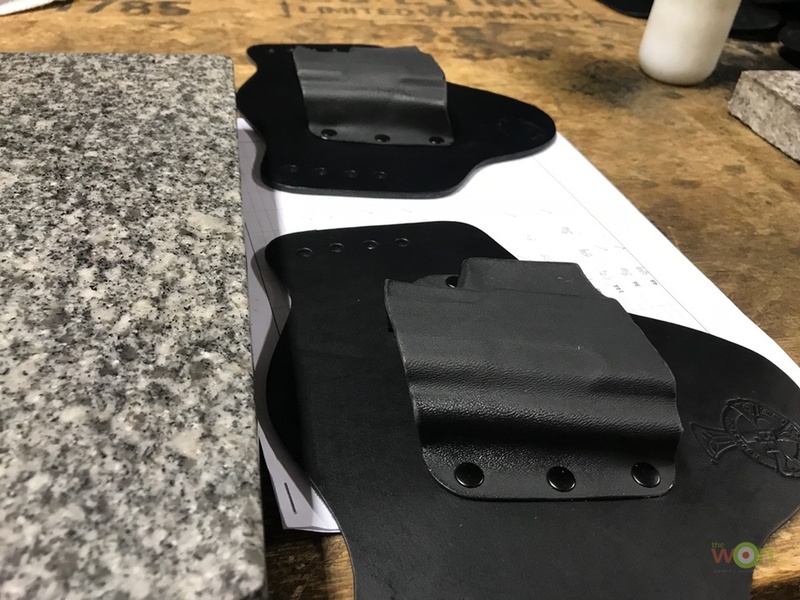 The process of making holsters and belts involves many steps, and a lot of attention to detail. 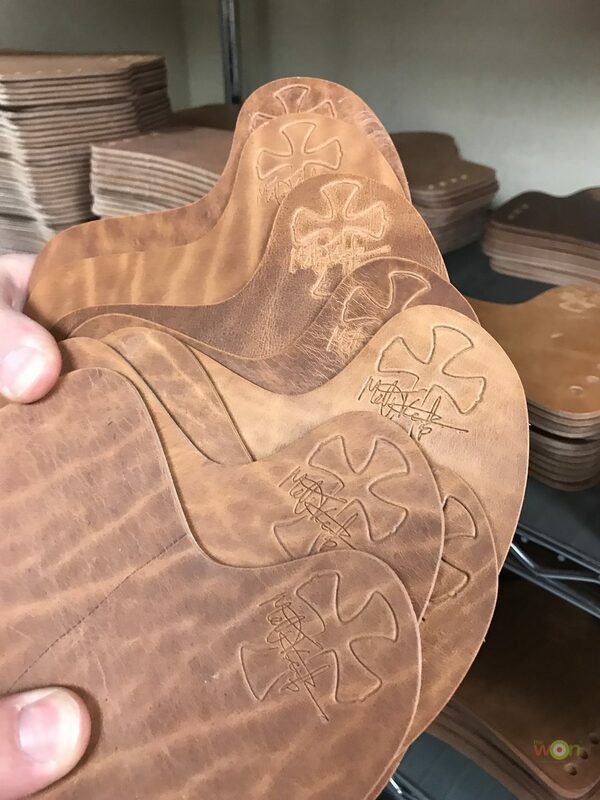 I recently visited CrossBreed’s headquarters to find out more about the world of leather as it pertains to holsters. CrossBreed’s Standard Cowhide is a complete vegetable tanned hide (“Veg-Tan”). The vegetable tanning process allows a leather skin to be stabilized and processed without using harmful chemicals. Tannic acids are found in some plants, branches, leaves, bark, and even some fruits. The tanning process helps to make the hide more durable. Aniline leather, which is a type of leather dyed exclusively with soluble dyes and not with a surface coating of polymer and pigment, is used. 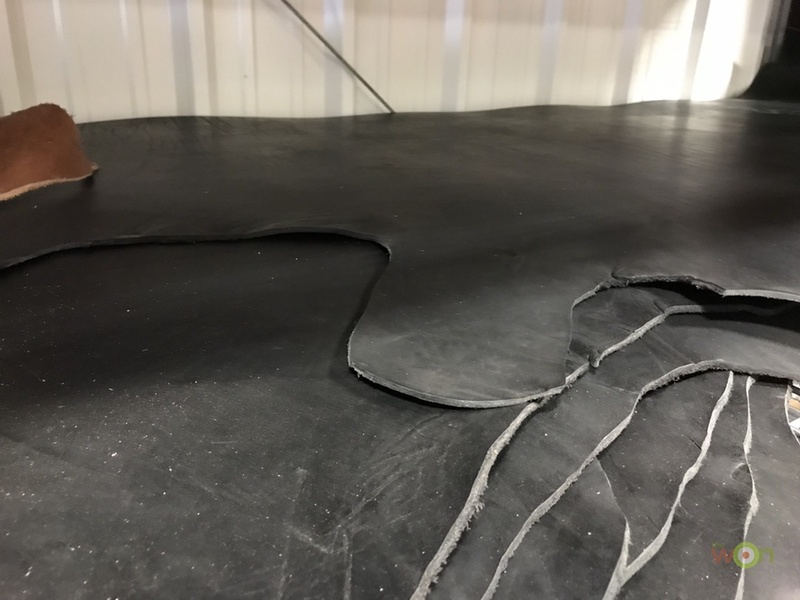 The resulting product retains the hide’s natural surface. It’s then impregnated with different tallows and oils to give it the soft feel when the user wears the holster and helps it break-in faster. 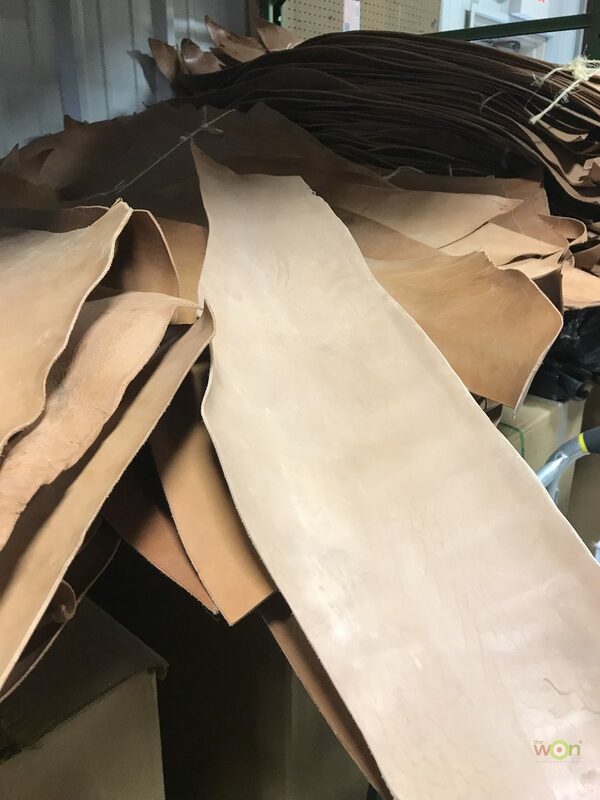 The Old Harness Tan leather, which CrossBreed calls its Founder’s Leather, is a veg-tanned hide that’s nearly 100 years old with pressed-in animal fats. The hide is completely natural – without any chemicals or dyes – and the coloration comes exclusively from the oils alone. Each piece of hide has a unique and distinctive appearance and range in color, from dark chocolate brown to a lighter tan with contrasting grain. Horsehide Leather is all veg-tanned leather produced by Horween Leather, the only horse hide tannery in the United States, and is thinner and smoother than cowhide. The benefit of horsehide is that the grain is tighter which keeps water from permeating the leather as quickly as a standard non-treated cowhide, and is much thinner than cowhide. Horsehide also stays stiffer when it gets wet. This is an especially popular choice for anyone who lives in humid areas. 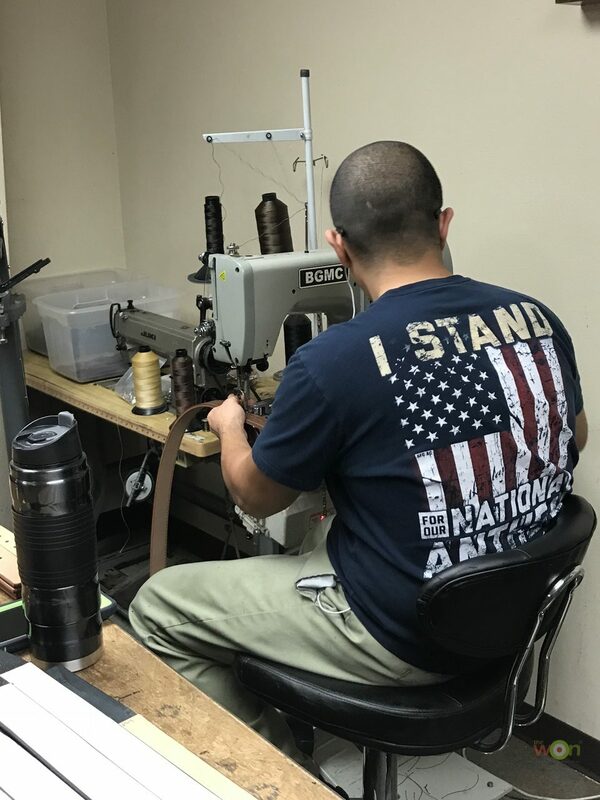 CrossBreed employs a dozen full-time holster-makers, with 5 of them being original employees from the company’s beginning in 2005. Each holster begins with a flat piece of Kydex hand-formed to a specific firearm’s shape to form a pocket. From there, the pocket goes to the desired type of leather that’s been stamped out. 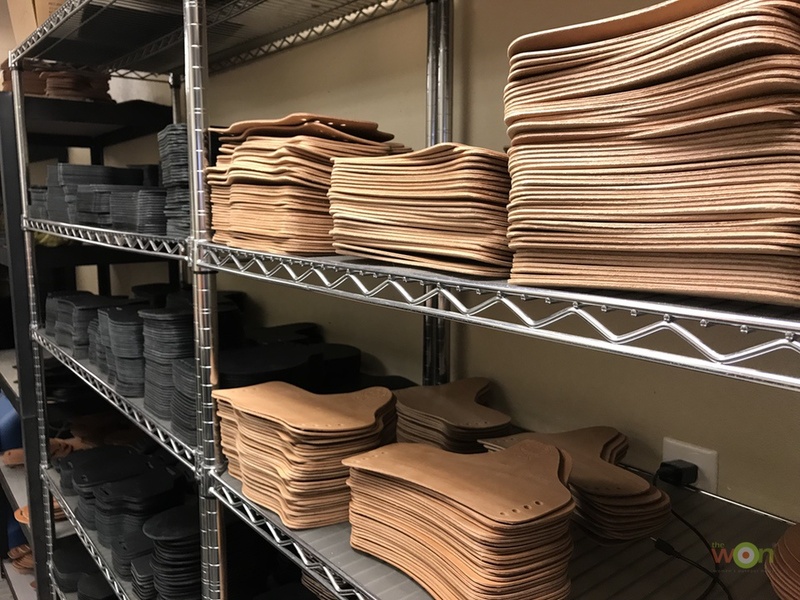 Each holster-maker is trained to be able to feel the piece of leather and determine that the amount of retention is consistent each time, no matter if it’s cowhide, horsehide, or Old Harness. The retention would not be consistent without making each holster by hand. After the Kydex is attached to the leather, the holster-maker puts his symbol on the back side, unique to the individual craftsman. Many customers request the same holster-maker for repeat orders. When the holster is complete, it gets one more conditioning oil treatment before it’s ready to pack and ship to the customer. 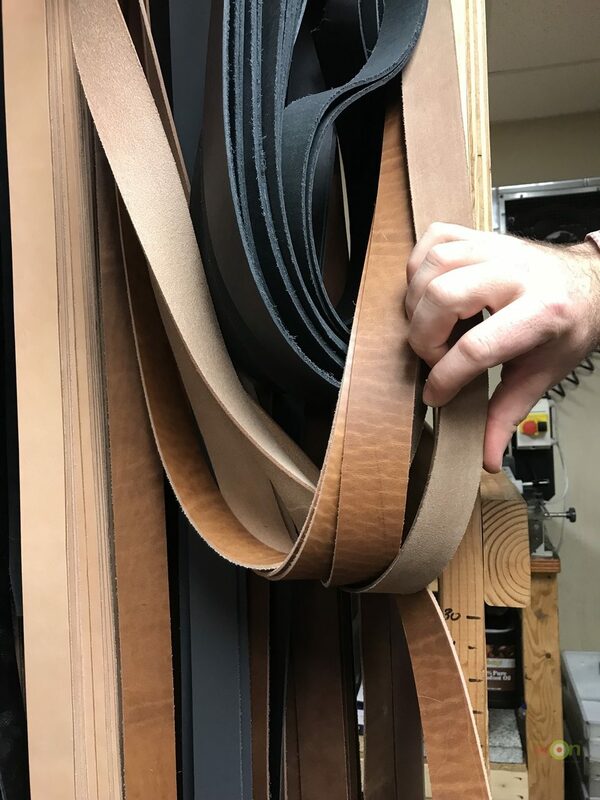 The black belt leather is the same as the black holster leather, and the brown belts are “CrossBreed Brown,” which is a hand-oiled leather. Each belt is a little different because it’s actually oiled by hand as it is being made. 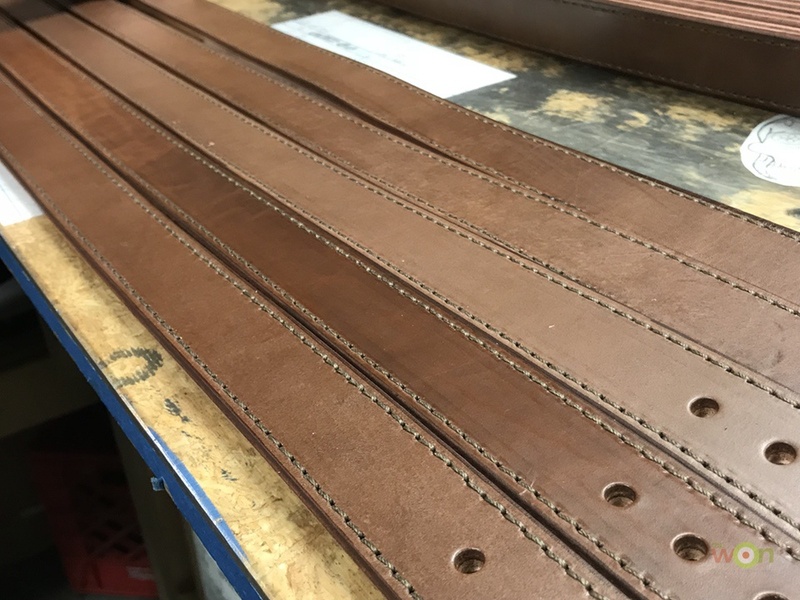 Founder’s Belts are made with the Old Harness leather, just like the Founder’s Series holsters and are vegetable tanned, using no dyes or lacquers. Each of these belts come with a care kit that contains a bottle of saddler’s oil which is dark and specially formulated to bring back the original look and feel after it starts to show wear over time. CrossBreed’s Classic Gun Belt and the Women’s Reversible Belt are made with a color called Royal Brown. These belts use a finished leather that gives each belt a consistent sheen across the top allowing each one to look identical in color. Each CrossBreed belt is handmade. Individual strips of leather are run through a glue machine adhering the strips together to make a blank. From there, the belt is put through the beveller, which rounds the edges of the belt. Next, the belt goes through the burnisher, where it’s hand-burnished to make the edge completely smooth. After that, the edges of the belt are dyed either black or brown, the belt is cut to its specified length, and the belt is sewn. Finally, holes are punched, belt loops are stitched and stapled, the belt buckle attached. As a side note, even though CrossBreed’s website only shows up to a certain size, larger sizes can be ordered by calling the company. As I mentioned, it is apparent from talking to the employees and watching their work ethic that they take great pride in their work. Each holster or belt is made with a customer in mind. CrossBreed stands behind its products and even offers a Lifetime Warranty on all holsters. If it wears out, CrossBreed will repair or replace it. Find out more about CrossBreed’s products here. Meet Carol Craighead, owner of CrossBreed Holsters in a previous article here.